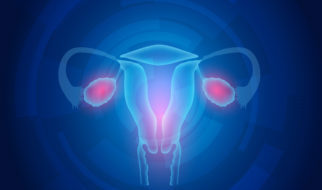 Uterine artery embolization or uterine fibroid embolization is a minimally invasive way of treating uterine fibroids. Uterine fibroids are associated with pelvic pain and heavy menstrual bleeding and your physician may refer you to us for evaluation and treatment. This can be an alternative to traditional hysterectomy. With fluoroscopic guidance, the interventional radiologist advances a small plastic tube through the artery in your hip to the uterine artery feeding the fibroid and then blocks the artery with small beads. This shrinks the fibroid and improves symptoms up to almost 90% of the time. Click here for more information. Click here to arrange for a consultation. Call 573-815-6287 to schedule a consultation with the interventional radiologist.